17 Nevertheless, each person should live as a believer in whatever situation the Lord has assigned to them, just as God has called them. This is the rule I lay down in all the churches. Have you ever had a week that changed choices, decisions, or trajectory? Some of those changes can come from illness, a relationship, or something in the workplace. This past week created a change in the trajectory of my life. I had three jobs I was doing. I was a pastor in a church. I participated in my own company. I fit Vital Ministries in between. I wore many hats. Then my crucible moment happened. I stand back and see God’s hand in all of it. I made a choice to step away from one of the three. I am going back to God’s original assignment that he has for me. I am devoting my energy to Vital Ministries and my company. I will be among the people where I find my passion and energy. God has shown me so much in the past 5 years of being an associate pastor and through this I have learned so much about how God made me and what he has for me. I look so forward to stepping back into my original call. I have freedom knowing who I am in Christ. We all have a call to minister wherever we are in life. I believe that Vital Ministries is going to recharge and reshape and will take on a new life in raising men in strength and courage. It is an honor to serve and lead in Vital Ministries. I was reading Ephesians and this particular passage struck me. This might sound like a strange comparison, but it reminded me of the Clint Black song, “No Time To Kill”. “How on earth do you draw a comparison like that, Scott? !” It’s the reference to time and it’s finite nature (in this life at least). In this passage, Paul is expressing the importance of walking in wisdom and effectively managing our time. These are evil days, and there is no time to be slacking off. The only way to truly be effective in that is to know what God’s will for your life is. The only way to know what God’s will is, is to know His heart. The only way to know His heart is to read His word and commune with Him daily. You have to be constantly pursuing a deeper relationship with Jesus. Another element to what Paul says here is to “not get drunk with wine, for that is dissipation”. What is dissipation? It means to waste. What he is saying here is simply, make the most of every moment. Getting drunk, as well as a plethera of substitutes, is nothing more than a waste. If it isn’t edifying, it it doesn’t serve to glorify God, or to bolster a brother. it’s a waste of time. This is a simple litmus test that can be applied to, literally, every single thing we do, day in and day out. So, regardless of what you are engaged in, no matter when, apply the simple litmus test… “Is this glorifying God?” If it does, continue. If it doesn’t, discontinue. If you are unsure, spend more time with Him and get sure! Remember… there’s “no time to kill”! Have a blessed weekend. So, this past evening, I get a call from my sister-in -law asking if I would come check out a noise in the crawl space of her house. My wife just got home with the older kids, so I tell her I am going exploring at her old house. I suspected some sort of animal, so I brought a trap, a baseball bat, and leather gloves, just in case. When I get there, the crawl space window is pushed open, and the lights that have worked in the past do not. So, flashlight it is! I peek through the opening and don’t see much of anything. 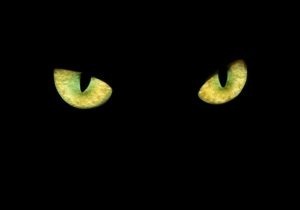 I climb down into the window well and poke my head in to see better, and eventually I see two beady eyes looking back at me at the other end of the house. Once I could identify at least one of the animals there was in fact a possum, any fears I may have had subsided significantly from my worst case scenario of a rabid badger. Catching him was another challenge, but it eventually ended with me making him mad trying to grab its tail, and then watching him run to the other side of the house, up and out the window opening. In hindsight, there were worse fears I faced this day. How do you deal with the fears you face in life? When I was a young child, I remember a few instances of being scared of the dark, or of certain situations where I found myself. It wasn’t so much the dark I was afraid of, but what ‘might be’ in the dark that I couldn’t see. In one’s mind, it could be anything you would fear could take your life, or hurt you. In reality, it is usually nothing. At times, these fears can be fueled by what other things we allow into our minds as well. Back in elementary and middle school, I was into reading about paranormal things like ghosts, UFOs, Cryptozoology and the like and I vaguely recall considering encounters with these types of things as things I may be afraid of. It wasn’t always even based in what was likely, but the 0.001 percent chance of what might happen. What truths have displaced the myths from your mind? As I have grown and matured as a Christian, I have come to a point where I don’t fear death, or anything that may bring it about. I put my trust in my Creator of when my time will come to an end and look forward to meeting Him. This doesn’t mean I want to die now, but I don’t fear it either. The same can be said of any other fears, of disease, of loss of things, or a job, or reputation, or loved ones, or anything else. Being close to God, and experiencing a few close calls, has also given me better judgement, and I try not to put myself into as many situations where I could get hurt or die. When the truth of God’s Kingdom is evident in our lives, the little things that used to make me pause or stumble now may even motivate me. I like the challenge of facing some of the fears that once haunted me. With God as my foundation, I can withstand any obstacle, weather any storm, overcome any challenge, even death, and so can you! Not too long ago, a bat invaded our house. My grandma woke up to it flying in her room. I went in the room and could not find it. Part of me thought she didn’t have her glasses on and she was disoriented. Later that morning it shows up again. My 10 year old son decided he was up to the challenge. He went and got his Red Ryder BB gun. It was perched in a corner of our vaulted ceiling in a little ball. Nervously he aims at the bat knowing it could get spooked and start flying again. He takes aim and shoots the bat. He nails it and the bat swoops to the floor at all the girls in my house start screaming. My wife covers the bat with a towel and takes it outside dead. Levi my son is now a sharp shooting warrior. He has officially gotten his first man card at 10! One of my favorite stories in scripture is about a man who steps up in a crazy way. The act of heroism, by this many named Benaiah, along with a few others led him to eventually become the captain of the guard under King David and commander in chief under King Solomon. Little did he know these acts of heroism would set up such a dream responsibility. 2 Samuel 23:20 There was also Benaiah son of Jehoiada, a valiant warrior[i] from Kabzeel. He did many heroic deeds, which included killing two champions[j] of Moab. Another time, on a snowy day, he chased a lion down into a pit and killed it. 21 Once, armed only with a club, he killed an imposing Egyptian warrior who was armed with a spear. Benaiah wrenched the spear from the Egyptian’s hand and killed him with it.22 Deeds like these made Benaiah as famous as the Three mightiest warriors. Isn’t that just how God works. If you live in Israel snow comes around about as often as it does in Alabama. They are not used to this kind of cold. On a miserable day comes a defining moment. I don’t know about you but most of my defining moments were on a bad day or a hard day. Benaiah has to face a lion one on one on a miserable day. I think in our lives we find ourselves here on our worst days. The day you didn’t get enough sleep, had a rough morning, spilled something on yourself, lost an opportunity is the day you notice that person who is having a rough day, you have the opportunity to cheat or lie, or feel compelled by the Lord to be overly generous. These are the days God tests our character and He find whether we can be trusted. So this week I want to challenge you to ask God to give you an opportunity to show faith in a way that costs you like it would on a snowy day. Then ask God to give you the strength and courage to do it.